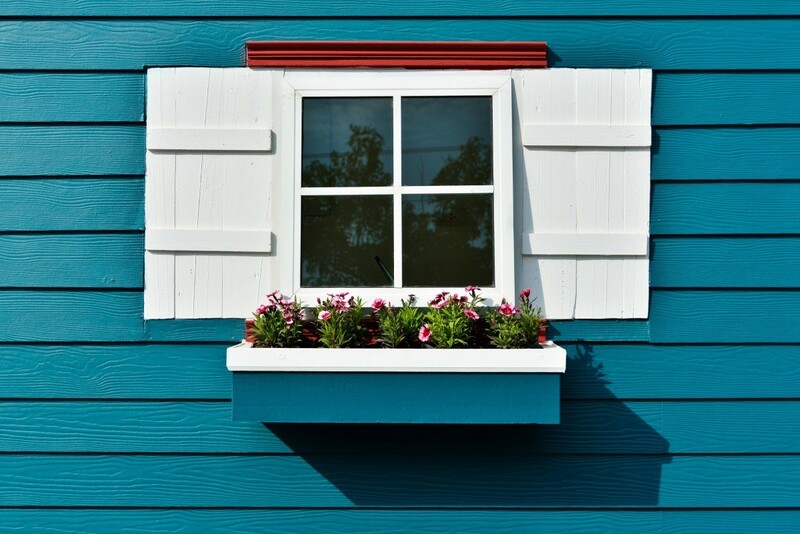 Window boxes add a lovely floral touch to your home's exterior. To keep the soil from leaking through the joints and the wood from rotting there are a variety of liners to choose from. 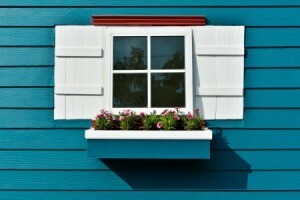 This page offers a number of good suggestions for lining wood window boxes. Any ideas what to use to line window boxes? 1) PLASTIC GARBAGE BAGS: You could use a large plastic garbage bag with several drainage holes poked in. This is what I line my propagation boxes with (the plastic from garbage bags). 2) NATURAL FABRIC: Like Burlap. I would use 100% cotton fabric, but cotton-poly would also work... 100% polyester will last the longest & not rot like cotton will. The tighter the weave, the less drainage you'll have. 3) Landscape Cloth (they use it to prevent weeds from growing under rocks & landscape bark). 5) MOSS: Tightly packed Spanish or green moss. 6) DOGFOOD BAGS: This is my favorite, but I don't know where to find them. I recently read that some pet food comes in large bags that are made from woven plastic... It's kinda like plastic burlap! If you can find it, I'm sure it would be durable, plus it would hold the dirt in while letting water escape. 7) CRAFTING SCREEN: Crafter's use it to do needlepoint on. It comes in different colors, sizes & hole size. It's also called "cross stitch plastic" or "plastic canvas". It's about a dollar a sheet. 8) WINDOW SCREEN: It comes in polyester (which will not rust). I wouldn't use the metal screen unless you happen to have some old stuff laying around. 9) TAR PAPER: I don't know if tar-paper has any harmful chemicals in it, so I'd probably not use it without testing it in a smaller container first! Put some rocks in the bottom, then sand after the rocks You need these boxes to drain somewhat or the plant's roots will get wet, moldy & waterlogged! If there is no drainage the water will get old & nasty with bacteria growing. If you want absolutely no drainage whatsoever, use fake flowers in place of real ones (I do & you can't tell from the road!). I find that if you use "Miracle Grow Moisture Control Potting Soil Mix," It has crystals that hold them in, then when the plants need the water, the little beads/crystals release it. You can also buy the crystals separate & add them directly to your favorite soil. They come in a little package. You can even add fertilizer to the crystals the first time you hydrate them then mix them with your potting soil. These crystals will help keep the water in the soil so it doesn't drain out & then release the water as needed to the plants! Recently scientists have found a way to grow crops in desert areas using these gel crystals. It could help many people grow much-needed food! You can even use this stuff in place of soil! Most plant nurseries & Home Depot carry it, but you can also get it online, do some research, prices vary! * 1 teaspoon expands to a huge amount, so be careful, a little goes a long way. They absorb 300 to 400 times their weight in water! I always enjoy Ellen's gardening contributions to the Thriftyfun column and just subscribed to the newsletter. Is there an advantage or disadvantage to having the window boxes built to hold a purchased porch/window box as an insert? I've always wanted to have one window box on a double window on the front of our home and visualized having a open or screen type bottom so that I could use a removable box inside that would protect the wood of the real window box. I hope this isn't too involved a question, but this seemed to be a good place to ask. We have lots of that trailing vinca vine in our gardens that would look so nice trailing down from a window box. It was interesting that you mentioned that the box should be as wide as the shutters. I wouldn't have thought of that. Thank you. Lady from VA, Were did you find wood window boxes? I would love to find some.